Get Gibbc Network expert tech support for virus, adware and malware removal from your computer. Our tech experts will provide immediate support to eliminate viruses, malware and spyware from your PC to optimize it for maximum performance. We will scan your computer for security threats and remove infected and corrupt files. We will also review and optimize your firewall settings to protect your computer against future attacks. Just give us the green light to access your computer remotely via the Internet and our Gibbc Network Certified Technicians will schedule automated scans to safeguard your computer against all security and online threats. Call Gibbc Network, and we will audit your security settings to ensure your computer’s safety from malicious attacks. Complete tech support for virus removal at one-flat-rate. Scanning your computer for security threats. Deleting infected and corrupt files. Skilled technicians to remove viruses from computers of any make or model. 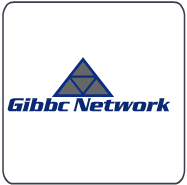 Gibbc Network skilled tech experts will provide support for all types of antivirus and anti-spyware software, including AVG, McAfee®, Norton™, etc.